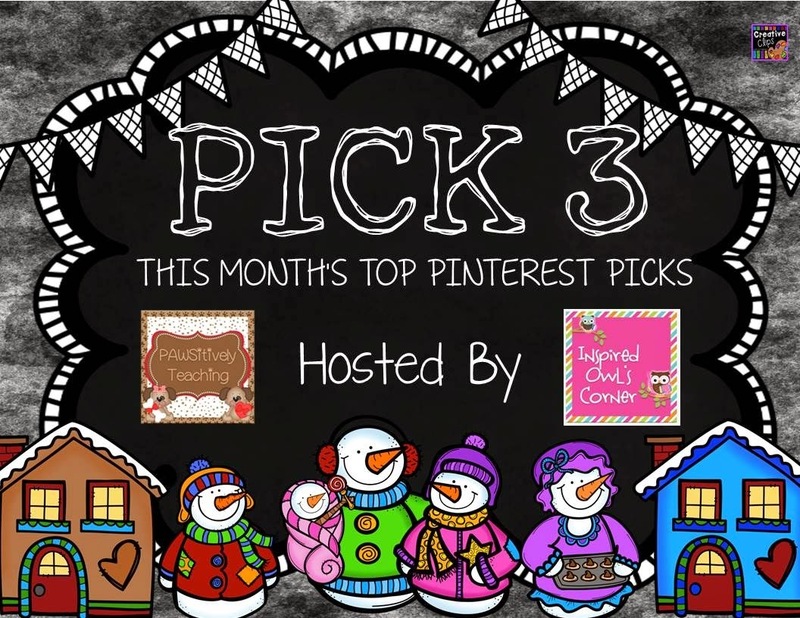 I'm so thrilled to participating in another Pinterest Pick 3 linky with the very talented ladies Marissa from Inspired Owl's Corner and Lisa from Pawsitively Teaching. Click on the images to be taken to the original Pinterest pin/link. When we return for winter break I plan to jump right into Amy's from Learning Lessons with Mrs. Labrasciano fabulous Chinese New Year unit. Since I have a student this year who celebrates Chinese New Year, I love how this unit is not only aligned with the Common Core, it is fun and engaging, and educationally enriching! This is one of my favorite projects and I do it every year. 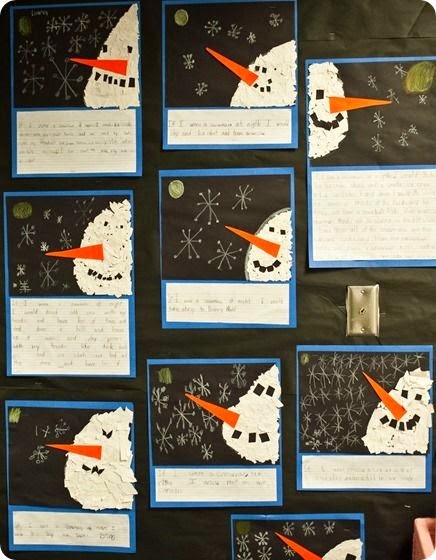 After reading the book Snowmen at Night we love making these beautiful snowmen that include our writing samples of what we think snowmen do at night. It makes a great hallway display! 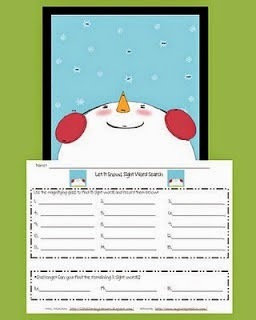 I use this gem in one of my word work stations and it is always a favorite and best of all.....it's FREE! Students love using a magnifying glass to find the hidden sight words in the picture. Make sure you check out the other fabulous ideas from the talented bloggers who have also linked up. I get my best ideas here! 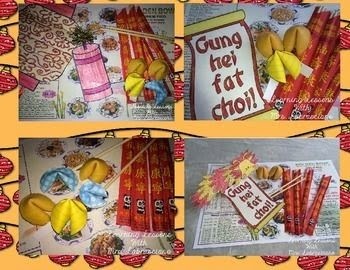 I think my students would love to do some Chinese New Year activities! I have never actually done anything big with them. The Chinese New Year activities look so fun! Thanks for sharing such great ideas! My students love those magnifying activities!